Now one of Radio 1’s best loved and most easily recognisable DJs, Charlie Sloth is something of an enigma – he became famous almost overnight. So where did this top DJ come from, and what does he do now? Never let it be said that Sloth isn’t a grafter, because the Londoner, born in 1987, worked the airways of London’s pirate radio scene for three years before he got his first break. 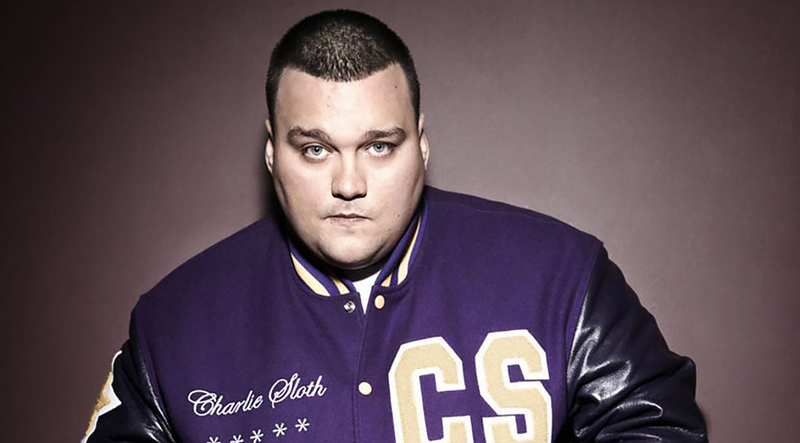 In 2006, Sloth created a skit show called ‘Being Charlie Sloth’ which was picked up by WorldStarHipHop.com. As well as reporting on musical developments, Sloth mixed it up with candid camera jokes and comedy skits which helped the show to gain some serious traction. With a total of 58 episodes released in all, the show at one stage had more than a million viewers each week. In 2010 Charlie Sloth was given a show on BBC 1Extra, where he made such an impression that he was bumped up to sister station Radio 1 in 2013. His Fire in the Booth segment, showing off fresh new MC talents, has become one of the most prestigious showcases for new urban music in the UK and things are going from strength to strength for Sloth. Filling the boots of Tim Westwood, the previous host of the Radio 1 rap show was a tough act to follow for Sloth, but he’s taken to the task like a duck to water and features regularly on other presenters’ shows. He’s also a regular on the DJ scene at events and club nights, which he can be booked for via his music agents. As one of the biggest talents in British urban music today, Charlie Sloth is an act who’s sure to draw people to any event you’re putting on. A true headliner, his witty banter combined with his outrageous talent means he’ll have everyone talking about your night for weeks to come. Get in touch with his booking agency to find out more about booking Charlie Sloth for a gig. Will Justin Bieber Have Criminal Charges Over Truck Accident?